Two days after a significant blaze ravaged parts of Notre Dame cathedral in Paris, authorities are still assessing the extent of the damages to the interior structure of the church. Even though an inspection of the interior structure will continue for the next week or so, authorities are pretty certain the main building is solid enough. 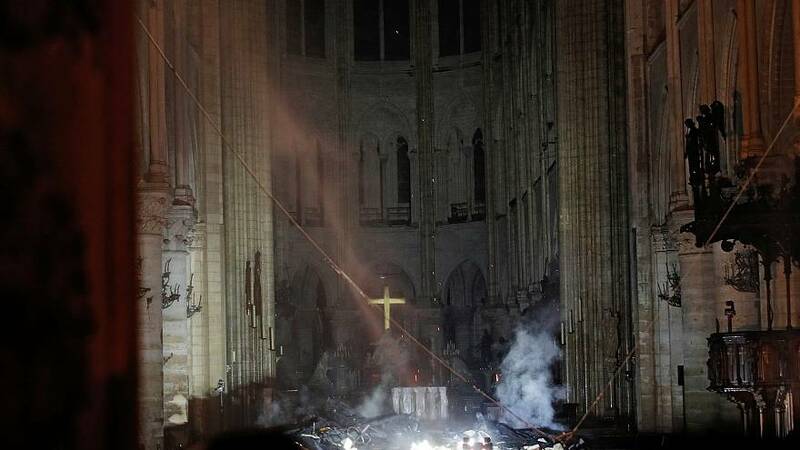 However, the cathedral's gothic oak frame and spire have forever been lost to the flames. Here's a list of the artefacts that were left intact or saved by firefighters, the ones authorities are still uncertain about and what was completely lost to the blaze. 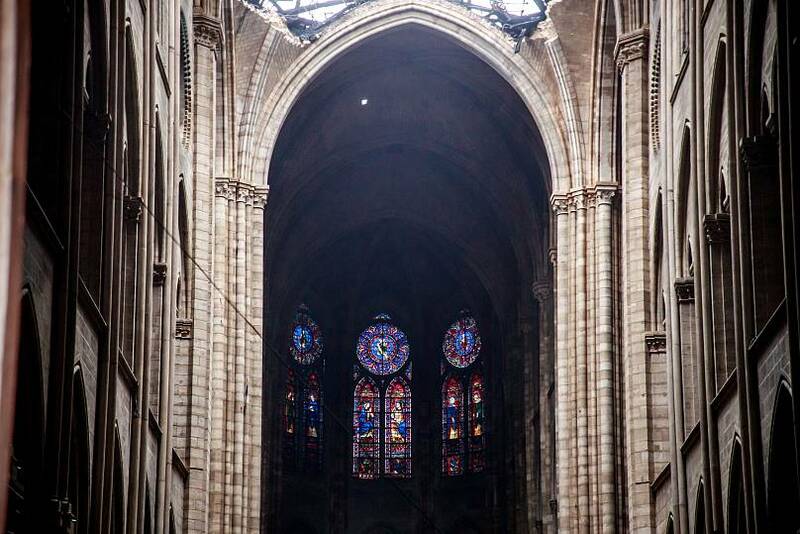 According to authorities, the cathedral's main structure was saved from the fire. Firefighters, however, continue to evaluate the vulnerability of the building in case of a possible collapse. 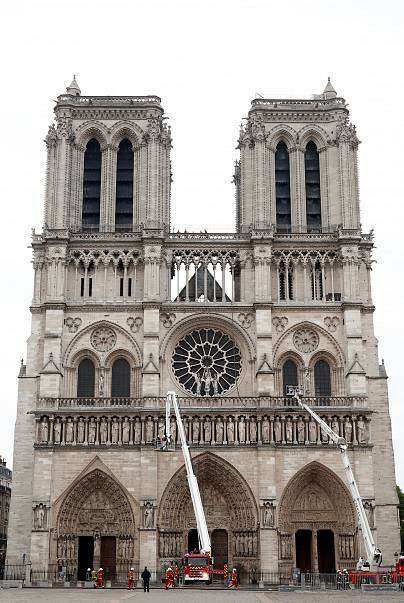 Notre-Dame's bourdon — the heaviest and biggest of church bells — which lives in the south tower was left intact by the fire. The bell, made more than three hundred years ago, weighs more than 13 tonnes and is rang for very special occasions. 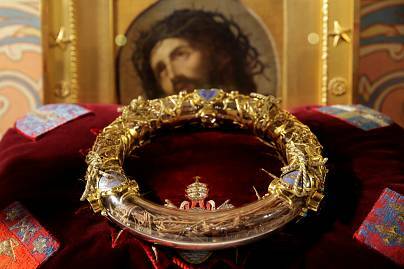 One of the most priced Catholic treasures — the crown of thorns — also surfaced untouched by the fire. The crown is believed to have been worn by Jesus before his crucifixion. The tunic said to be worn by Saint Louis, a 13th-century king of France (Louis IX) when he brought the holy crown to Paris also escaped the fire. A fragment of the cross on which Jesus is believed to have been crucified as well as one of its nails was among the important Catholic relics housed in the cathedral. 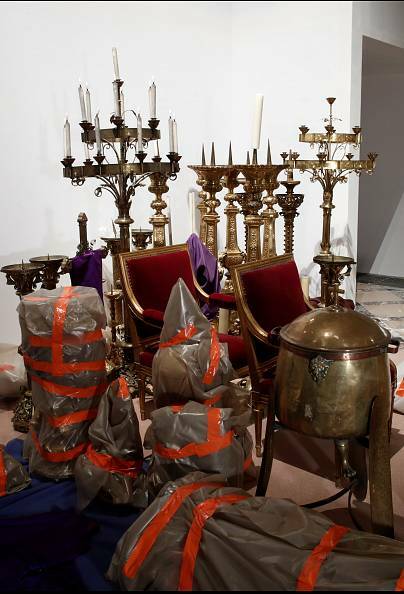 These and other treasures were saved and transported to the Louvre museum, according to authorities. Several paintings including the "big Mays" collection gifted to Notre Dame by the corporation of Parisian silversmiths was saved and transported to safety. Notre Dame's main altar, situated in the choir, was installed in 1856 during the important renovations of the 19th century. Behind the altar, a statue of a grieving Virgin Mary with Jesus' body at her knees welcomes everyone who enters the cathedral. 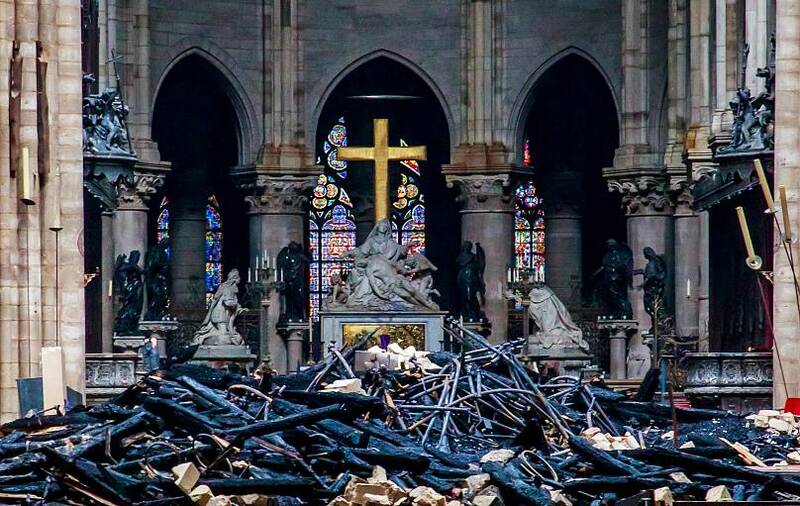 According to pictures taken in the aftermath of the fire, the altar, as well as the Virgin Mary statue and the cross, were unharmed by the flames. However, a more detailed investigation will examine whether the artefacts suffered any damage. The exact state of the cathedral's grand organ after the fire is unknown. 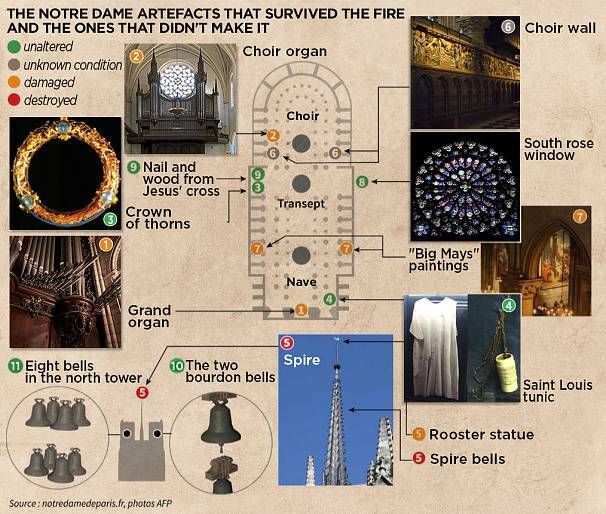 Bertrand Cattiaux, an organ restorer that takes care of the upkeep of the invaluable piece, told the AFP that the artefact had suffered some damage but nothing "catastrophic". The organ "did not suffer from the fire, that it was damaged by water infiltration from fire hoses, but not catastrophically," said Cattiaux. The stained glass rose windows, treasured artefacts of the building, might have been partially damaged in the fire. Their current state is not yet known. The 13th-century rose windows are located in the north, south, and west facades. The "forest" was the nickname given to the cathedral's oak frame. This gothic structure was barely visible to visitors but the gigantic oak frame, which was installed in 1220, was made up of a variety of beams from different kinds of trees. While some beams were replaced in the 19th-century restoration, some of the original ones were still in place. The "forest" was completely destroyed by the flames on Monday. 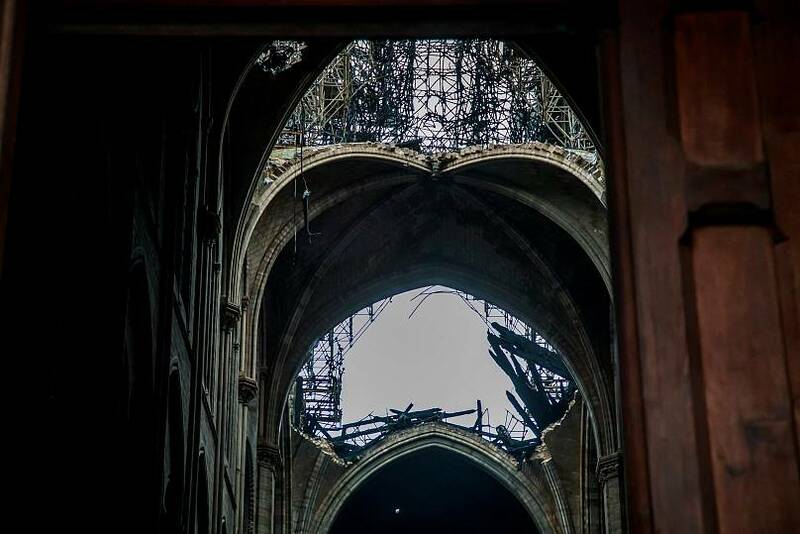 The crossing of the transept and the north part of the transept also collapsed. The spire was a tower that sprouted from the centre of the cathedral. The spire was put in place in 1859 and at its base were sixteen copper saint statues that were removed last week for renovation work and escaped the fire. The rooster that adorned the top of the spire was found in the rubble, the minister of culture confirmed on Tuesday. The president of the French Building Federation Jacques Chanut posted pictures on Twitter of the damaged rooster.